Recap the year, review the member survey and by-law changes, and elect the volunteer Board of Directors for 2018-2019. For a detailed list of responsibilities for each position, please review our by-laws, which can be found here. This year we’re proposing some changes to the current by-laws, to be voted on by the membership at the meeting. You can view the proposed changes here, along with the reasoning behind them: MZU Proposed Bylaw Changes 2018. 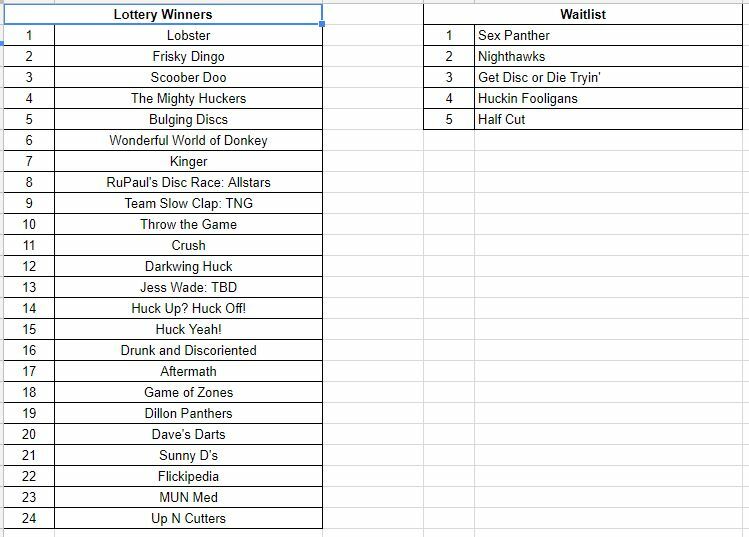 Below are the results from the Lottery. The video of the lottery can be found on our Facebook page. If you would like to sign up as a sub for the Super Sunday Outdoor Hat League, please use this form. Expressions of Interest are now be accepted for the 2018 Fall Indoor Build-It-Yourself Team League. For league details, and to submit your expression of interest, click here. If you are a captain looking for more players, or a player looking for a team to join, you can use the matchmaking form here. Submissions are due by Friday August 24th. Registration for the 2018 Fall Outdoor Hat League opens on Wednesday August 8th at noon. 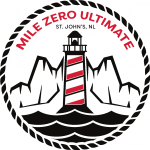 For league details and to register, click here. 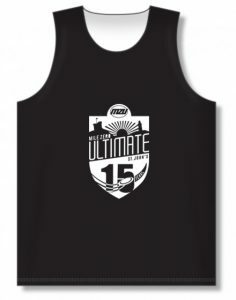 Are you completely new to ultimate, or did you play in your first league in our Capital Subaru Summer League? Why not give our Fall Outdoor Hat League a try! As part of our New Player incentive, sign up for our Fall Outdoor Hat League and save $10 off the $30 registration fee*! For league details and to register, click here. Starting June 20, MZU will be holding free pick-up games every Wednesday evening at Bowring Park at 7pm. Please check our Facebook page weekly for details of that week’s event. All skill levels are welcome! This is a great opportunity to bring a friend and try out a new sport. 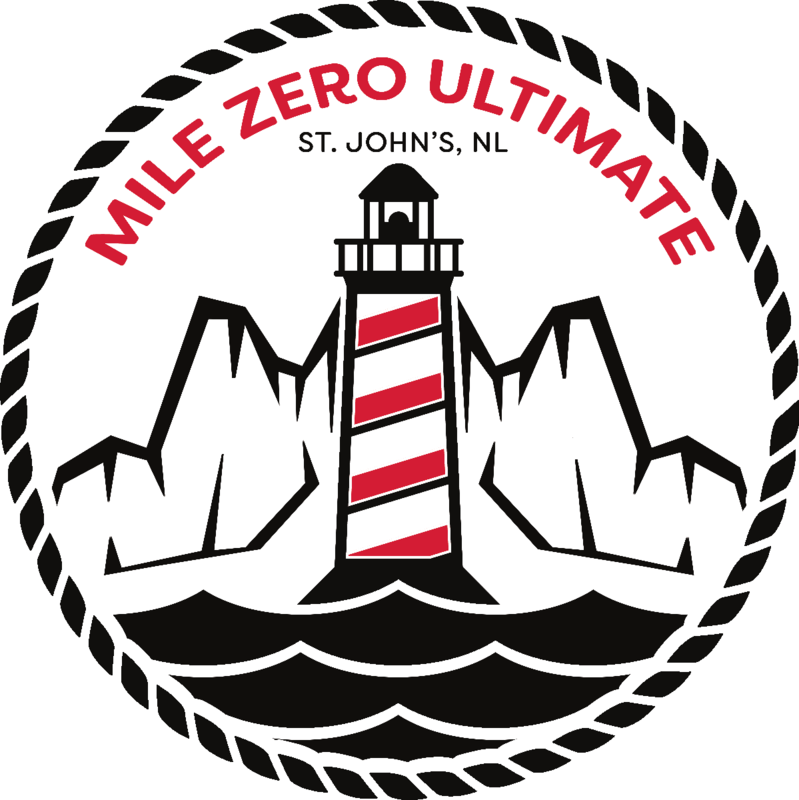 Any questions can be forwarded to hi@milezeroultimate.com. To celebrate our 15th Summer League, we held a contest to design a new logo for the summer jerseys. We’re so in love with the logo that we’ve decided to create special edition 15th Anniversary Reversible Jerseys for purchase! 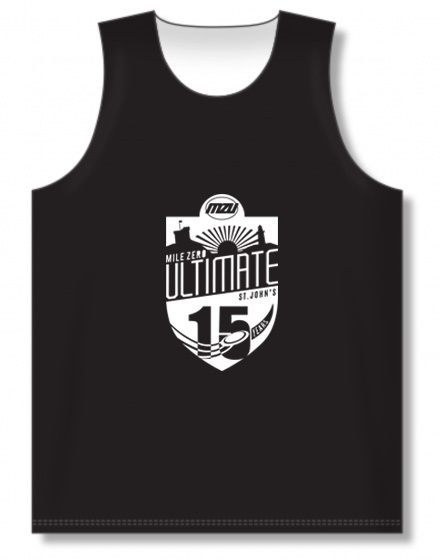 These jerseys are great for those Hat Leagues where you need a light and dark jersey, or a scrimmage with your team. Click here for details and to purchase your jersey!